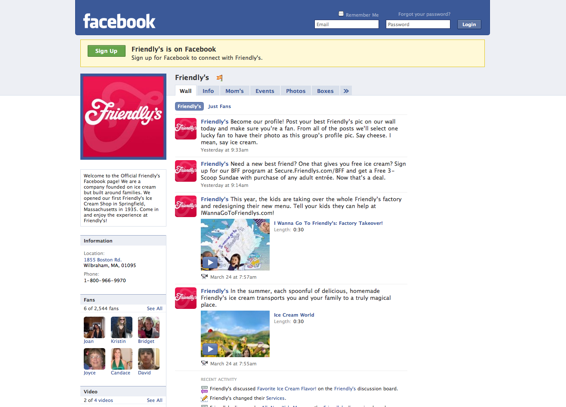 Friendly’s: Friendlys.com – Brett Malden aka "bmw"
When Friendly’s family restaurants needed an overhaul of their corporate site, we looked beyond a basic tune-up/re-skin and added new features and specs to push their promotions, better showcase their updated menu and connect the site traffic to various relevant social networks. 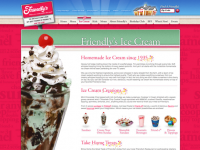 Friendly Ice Cream Corporation is the owner and operator of the Friendly’s restaurant chain on the east coast of the United States. Founded in 1935 in Springfield, Massachusetts by two young brothers, 18-year-old Curtis Blake and 20-year-old S. Prestley Blake, their first shop only served double-dip cones for 5 cents. 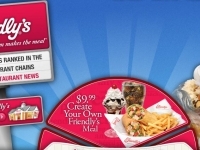 Many Friendly’s have an old-fashioned street clock at the entrance of the restaurant with the name of the town, although newer and renovated stores do not have these. The company has 16,000 employees, and Ned R. Lidvall is the president and CEO. 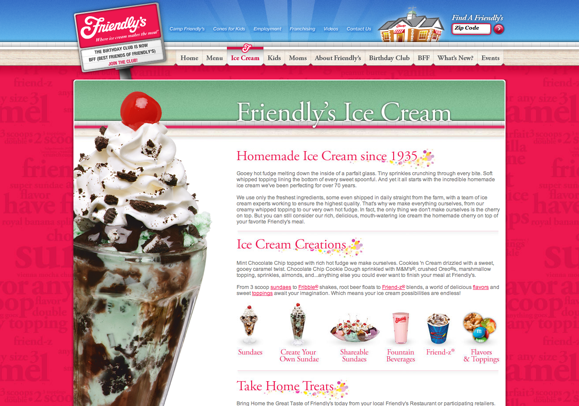 June, 2011 Update: The Friendlys.com site has been redesigned, so we are no longer linking to it here. Please view the screenshots above to see the samples of the design work we did. 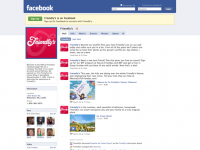 This entry was posted on Saturday, June 4th, 2011 at 11:25 pm. It is filed under Content, Portfolio and tagged with Brett Malden, Brett Malden ECD, Brett Malden EP, Brett Malden Global Lead of Integrated Production, corporate website, Curtis Blake, Friendly Ice Cream Corporation, Friendly's, Friendly's family restaurants, friendly's ice cream, friendlys.com, increase site traffic, lets all go to friendly's, Ned R. Lidvall, Online, online banners, Prestley Blake, social networking, updated website features and specs, website. You can follow any responses to this entry through the RSS 2.0 feed.